The Expert Information Service (E.I.S.) is A&A’s premium market research and analysis offering. It includes a subscription to A&A’s leading 3PL guide Who’s Who in Logistics. In addition, E.I.S. subscribers have access to A&A’s ongoing 3PL market research reports. These include A&A’s exclusive annual 3PL market analysis, warehousing in North America report, domestic transportation management/freight brokerage report, e-commerce logistics in the U.S. report, customers of 3PLs report, dedicated contract carriage report, global 3PL market report, digital freight matching report, trucking in Mexico report, and spare parts logistics report. E.I.S. subscribers also receive on-demand phone consulting at a discounted rate. The Corporate Subscription provides any individual from a single Corporation access to A&A’s Expert Information Service (E.I.S.) versus the Standard Subscription which is limited to three users. For more than three users plus 20 hours of consulting, please see our Executive Subscription. Armstrong & Associates’ (A&A’s) Expert Information Service is its premium market research and analysis offering. The Corporate Subscription provides any individual from a single Corporation access to A&A’s Expert Information Service (E.I.S.) versus the Standard Subscription which is limited to three users. For more than three users plus 20 hours of consulting, please see our Executive Subscription. The E.I.S. includes access to A&A’s “Who’s Who in Logistics” online 3PL guide with coverage of over 580 third-party logistics providers and all of A&A’s latest market research reports. 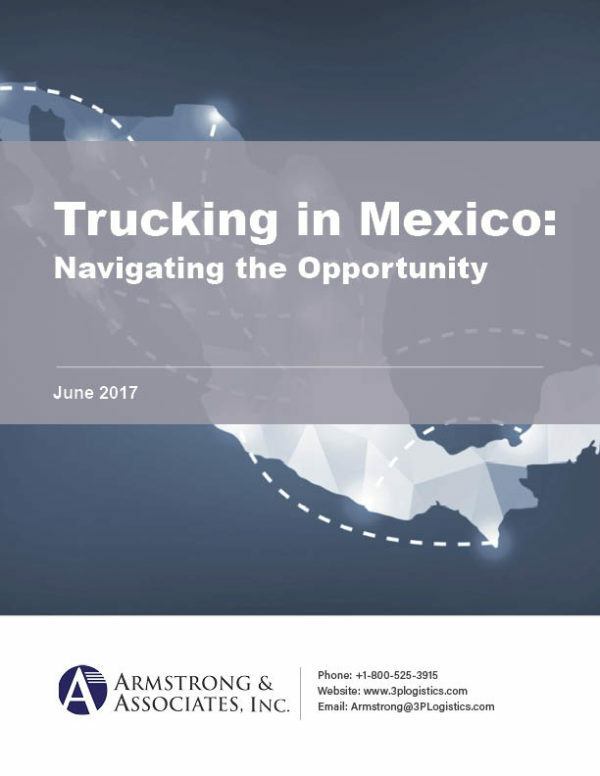 Report topics range from U.S. and Global 3PL Market trends, to targeted reports on warehouse pricing, e-commerce logistics, the digital freight matching market, trucking in Mexico, and dedicated contract carriage.